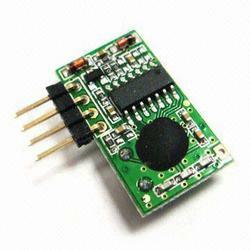 Leading Supplier and Trader from Mumbai, our product range includes RF Transceiver Module such as RFM73 Module Transreceiver, 2.4 Ghz Transreciever, CC2500 Transceiver Easy To Use, RF Pro Wireless Module Transreceiver (USB), RF Pro Wireless Module Trans-receiver, HM-T FSK Transmitter Module and many more items. 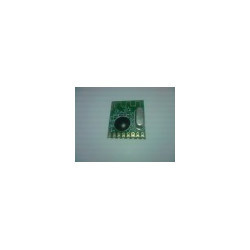 RFM73 is a low-power, high-speed FSK/GFSK transceiver module specifically operating in the world wide ISM frequency band at 2400 - 2483.5 MHz The module features low cost, small size, high stability and good consistency. The maximum air data rate can be up to 2Mbps. It can be widely applied in various wireless connections in daily life or activities. 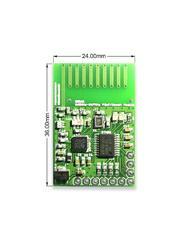 It is compliant with the specifications regulated and required by FCC and ETSI. Small footprint. in a 17X17mm,8pinout. 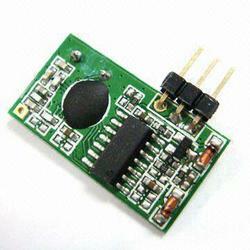 Works on 5-9v DC supply. On board jumper Setting for Configured/Run Mode and Packet/Byte Mode. 2) Packet Length: Variable or Fixed . 5)Modes of operation: Config mode and Run mode. 6) Onboard jumper Setting for Config/Run Mode and Packet/Byte Mode. HM-T series FSK receiver module is specially designed for replacing those applications that used ASK technology module already. It used together with HM-R series FSK transmission module. Due to the benefits from FSK technology, the module is robust to interference, and longer working distance can be achieved. HM-R series FSK receiver module is specially designed for replacing those applications that used ASK technology module already. 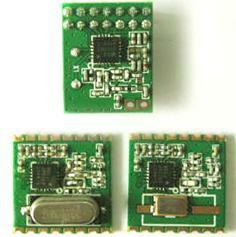 It used together with HM-T series FSK transmission module. Due to the benefits from FSK technology, the module is robust to interference, and longer working distance can be achieved. 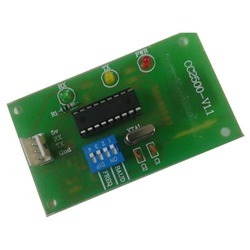 This module is a low-power wireless communication solution that is ideal for Smart Grid, home automation, smart lighting, industrial sensor data acquisition and remote control applications. 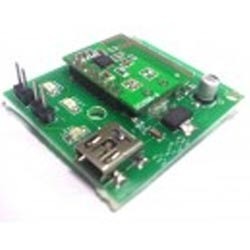 This module integrates SPIRIT1, an extremely low-power sub-GHz transceiver, an MCU for wireless network control and hardware interface, a PCB antenna and matching circuitry. 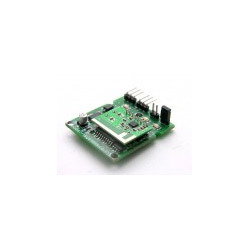 Right out- of-the-box this module supports simple point-to-multipoint serial communication over-the-air. It has a small 24mm x 36mm form-factor for easy integration. 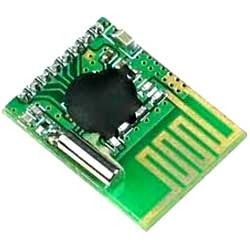 This module allows OEMs to easily add wireless sub-GHz capability to their electronic devices. A simple cable replacement model allows the module to be used similarly to a standard serial interface. Full CE compliance and FCC compliance reduces time to market.